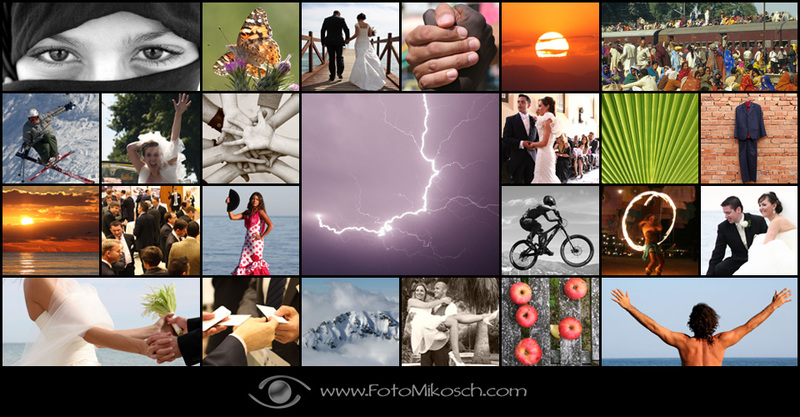 Welcome to FOTOMIKOSCH.COM – offering professional photography in Andalucía (Spain) and Germany. With almost 10 years of experience, I’m specialized on weddings and event photography. I love taking photos with natural light and in a documentary style – no studio, no flash, no exaggerated posing. Real images of real life! On this website you find infos on WEDDINGS and EVENTS, a GALLERY with lots of different photos, links to my STOCK photography, links to my BOOKS, plus a CONTACT page. Enjoy having a look around and if you have any questions or want to book me, please get in touch. Thank you!